I have to admit that I’d never heard of wapato until recently. I was completely unaware of its cultural significance as a major food source of Northwest native people. I also didn’t know of its deliciousness. 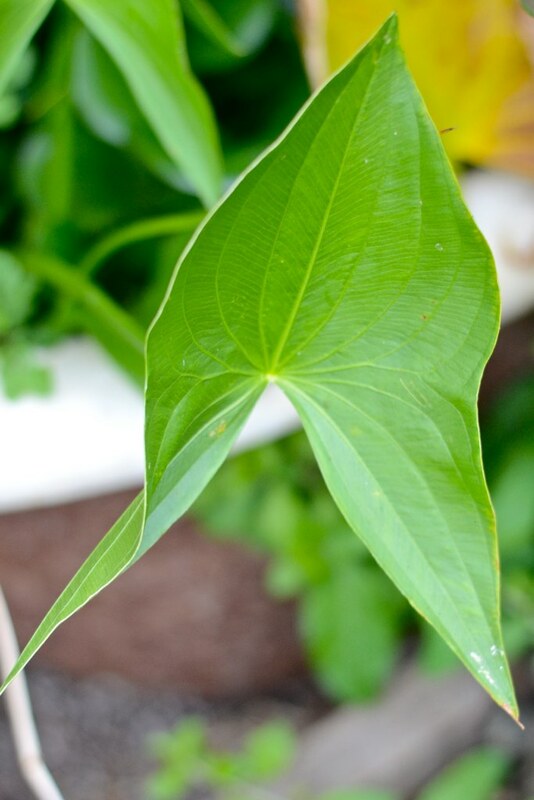 Wapato (Sagittaria latifolia), an herbaceous plant with arrow-shaped leaves, grows in vernal flooded areas or around the perimeter of lakes and rivers. 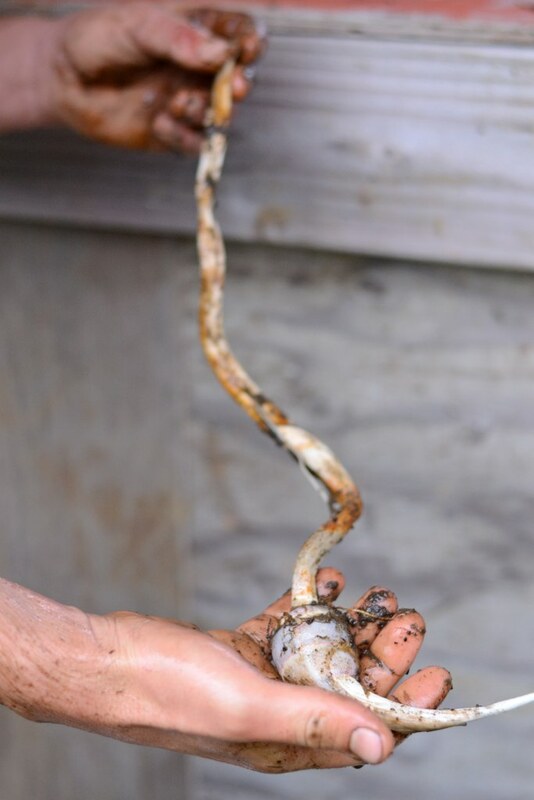 It produces starchy tubers at the ends of long, under-water rhizomes. These tubers were historically harvested during the wet season from autumn to spring when other food sources were scarce. The visit of captain Clarke to the Multnomahs, now enabled us to combine all that we had seen or learnt of the neighbouring countries and nations. Of these the most important spot is Wappatoo island (modern day Sauvie Island for any of you Portland area readers who care), a large extent of country lying between the Multnomah (modern day Willamette River), and an arm of the Columbia, which we have called Wappatoo inlet, and seperated from the main land by a sluice eighty yards wide, which at the distance of seven miles up the Multnomah connects that river with the inlet. The island thus formed is about twenty miles long, and varies in breadth from five to ten miles: the land is high and extremely fertile, and on most parts is supplied with a heavy growth of cottonwood, ash, the large-leafed ash, and sweet willow, the black alder, common to the coast, having now disappeared. 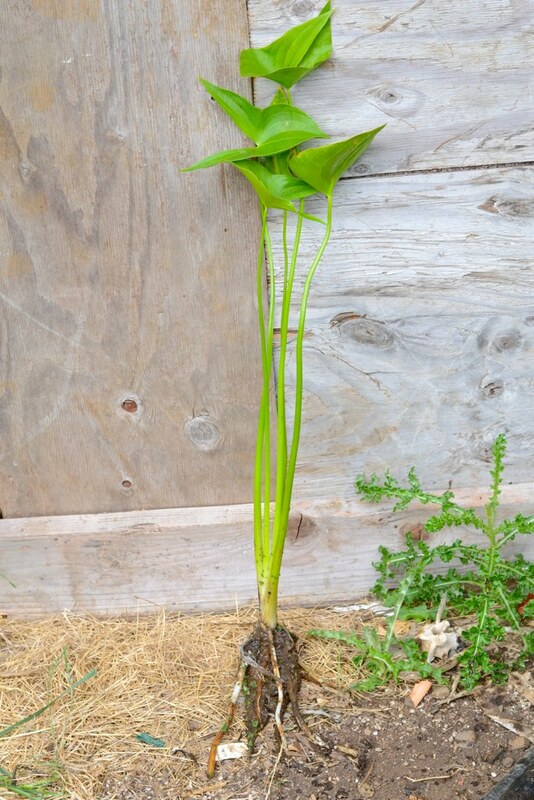 But the chief wealth of this island consists of the numerous ponds in the interior, abounding with the common arrowhead (saggitaria sagittifolia) to the root of which is attached a bulb growing beneath it in the mud. 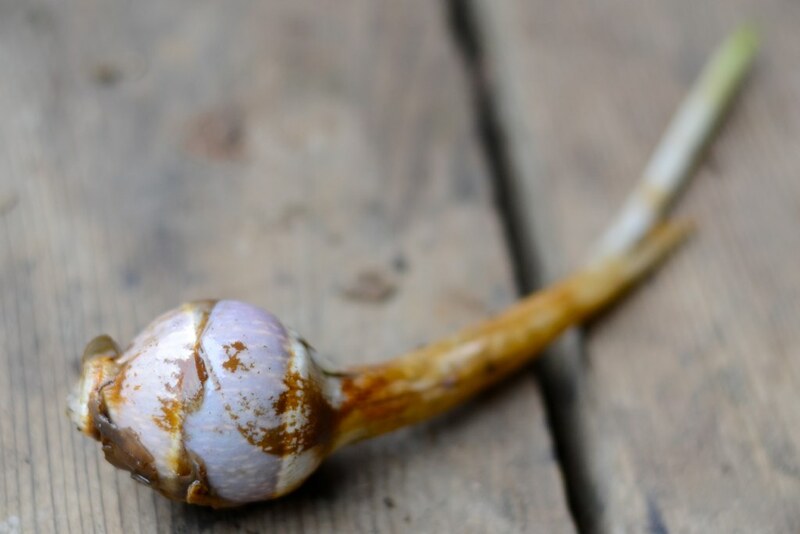 This bulb, to which the Indians give the name of wapatoo, is the great article of food, and almost the staple article of commerece on the Columbia. It is never out of season; so that at all times of the year, the valley is frequented by the neighbouring Indians who come to gather it. It is collected chiefly by the women, who employ for the purpose canoes from ten to fourteen feet in length, about two feet wide, and nine inches deep, and tapering from the middle, where they are about twenty inches wide. They are sufficient to contain a single person and several bushels of roots, yet so very light that a woman can carry them with ease; she takes one of these canoes into a pond where the water is as high as the breast, and by means of her toes, separates from the root this bulb, which on being freed from the mud rises immediately to the surface of the water, and is thrown into the canoe. In this manner these patient females remain in the water for several hours even in the depth of winter. This plant is found through the whole extent of the valley in which we now are, but does not grow on the Columbia farther eastward. You can read a little more about wapato and the Lewis and Clark expedition here. 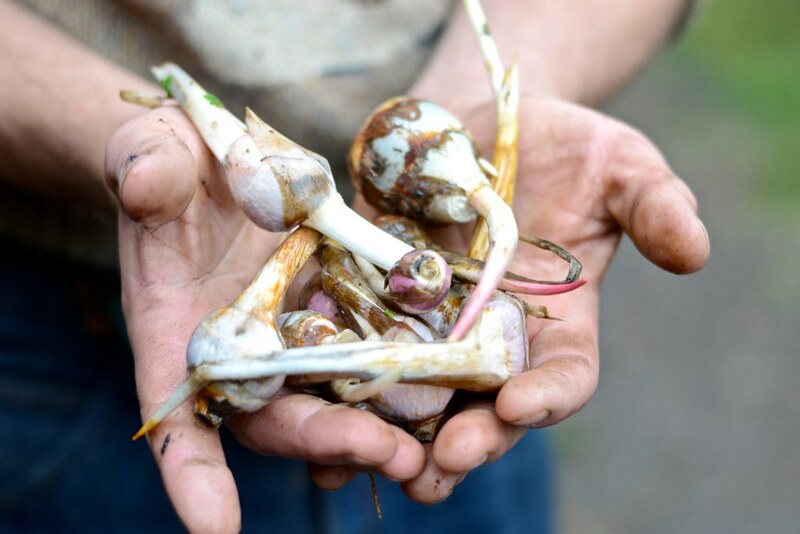 Fortunately, we didn’t have to go wading around in the frigid waters of a pond to collect these bulbs. Henry has a little population growing in an old claw-foot tub up in our greenhouse. He wanted to transplant a few into our newish pond, so he went ahead and pulled some up and harvested a few bulbs to cook for lunch. 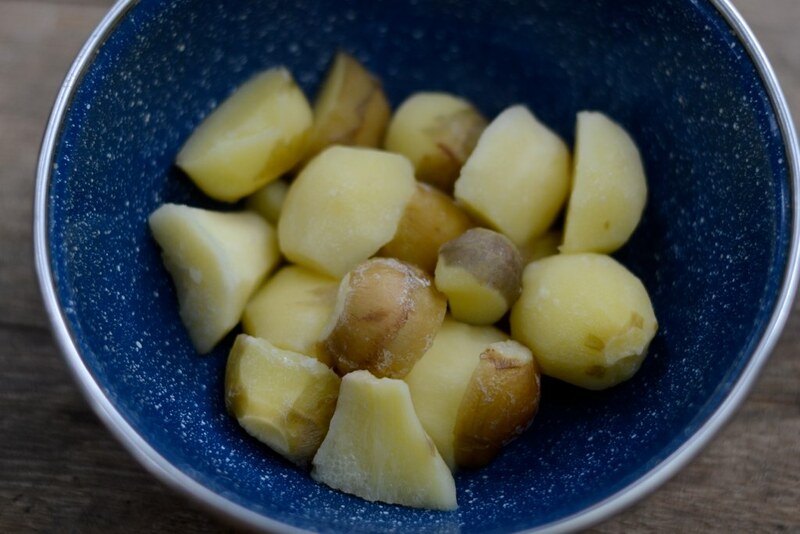 Our friend Adam came over for lunch, and we sampled some boiled wapato tubers. They were surprisingly good. They had the consistency of grainy potatoes with the flavor of slightly buttered potatoes. I kind of expected it to be more like hard tack, dog meat, or any number of tasteless or off-putting things on which the Lewis and Clark expedition subsisted, but wapato was something that I would eat and enjoy voluntarily. Adam was super excited about his wapato-eating experience. He thought it was so palate pleasing that he began trying to convince us to start cultivating it to sell at the farmers’ market. I don’t know that we’ll go into commercial wapato production, but I’ve got my fingers crossed that the new transplants in the pond thrive and grow to give us a few more meals. Wow, wapato sounds really great! I hope I have the occasion to taste it one day. I’m always interested in learning about plants that provide alternative/non-mainstream sources of food…jerusalem artichokes, jicama, amaranth, sour clover, teff, etc… All the good stuff that big ag hasn’t messed with yet. John, over at growingyourgreens.com, talks about lots of the lesser-known edible plants in his videos, too. The historical connection and reference is so cool! Thanks for sharing! Wapato does have sort of a jerusalem artichoke quality to it. Learned something new today. Found your site while looking up info on seasoning cast iron with beeswax, then did a little exploring. When I saw “Wapato” I thought “Hey! She’s in Washington!” There is a small town in Eastern WA named Wapato. I didn’t know it was the name of a plant as well. You’ve got me beat in CI. I only have 6 pieces. Oh wait. I have another 6 I keep in our 1966 13′ camper. But that’s it. For now. No promises. Still want a reversable griddle for the camper.